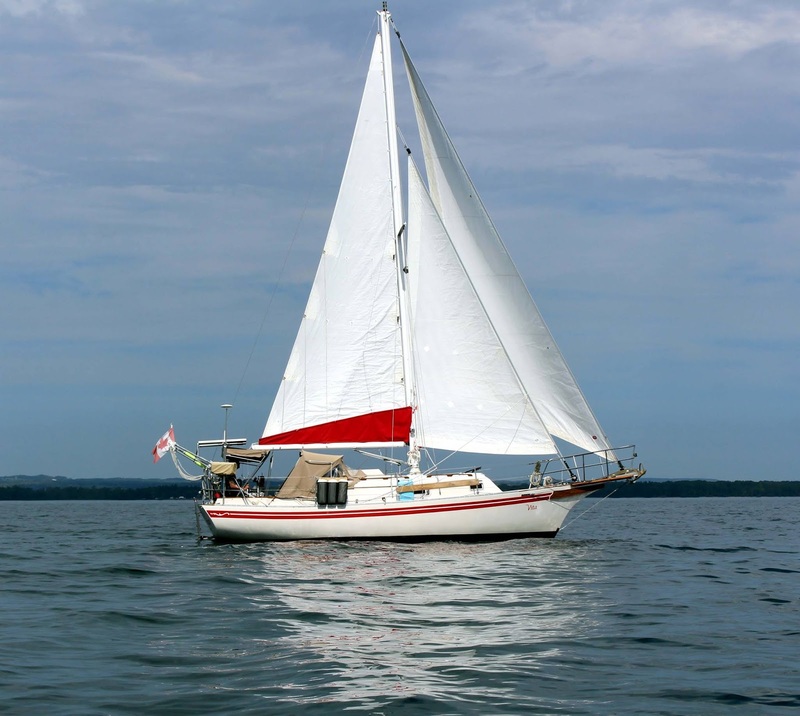 Join us as we refit our 1983 Bayfield 29 sailboat, and discover the new places she will take us. The SALE Deal of the Year! Vita is up for Sale. You can click on the link above "Vita for Sale" or right here, for a synopsis of her sale flyer. She is an incredible boat, and she will be missed dearly, but she no longer belongs in our lives. She deserves someone who will take her back to the clear waters of the Caribbean. Or at least cruise her as much as possible. A feat that we can no longer do. You can email me at svvita@gmail.com, or call at 613-920-9986 for further details. Perhaps you are her next Captain. She is a great boat, and she will treat you well. Vita will soon be for Sale! We've decided to give up the dream. At least how we envisioned it in the beginning. We just can't physically handle the cruising life. As much as we loved it, it was just beyond our ability. So Vita will soon be up for sale. Hopefully she will find a home with someone that will love her as much as we do. I think this has been coming for some time, but neither Serena or I wanted to admit to one another that cruising had become more of a burden than a pleasure. She has gotten better over the last year, but still suffers from back issues if she pushes it. I have been diagnosed with myo-fascial pain syndrome, and my therapists keep trying to get me to adopt a less physical lifestyle. That coupled with my feet, back, and knee problems from years of abusing my body, and I just can't do it anymore. I have some little things to get finished up. We are not sure what will go with the boat, and what will not. We may offer her for sale with all the cruising gear, minus the dinghy. We are keeping Lifeline, so that when we are able, we can still hit the water on our local lakes. Besides that, there is talk of a Houseboat in our future, so Lifeline will find a home attached to that. 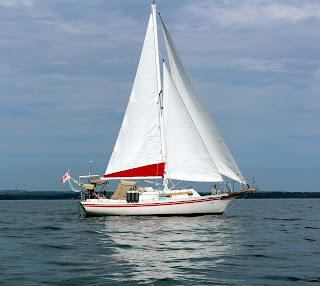 We may also offer her with a lower price, and strip a lot of the cruising specific gear off of her. She is a good boat, she will make someone very happy. We would love her to go to someone who was interested in taking her back to the clear waters of the Bahamas. It is hard to give up all that time and money. I spent a year and a half, full time, refitting her for liveaboard cruising, and we have about $70k in the lifestyle. She is worth no where near that. Anyway. The details haven't been worked out. Who knows, if we decided to build a houseboat, maybe we'll call her Vita II, and we'll continue the blog. Perhaps with the designing, building, and cruising. Time will tell. When we get all the details hashed out, and she is rigged and ready to sail, we'll update the blog with the for sale information. Vita back to one six. Wow, its been a rough year. And like many things in our life, the blog has taken a back seat for other more pressing issues. The only really important thing is, that we have renewed our commitment to get back out there cruising, eventually. If anyone has been reading the blog for a long time, they will know that we suffered from a lot of physical issues during our trip south to the Bahamas 4 years ago. Leave your email address, and we'll let you know when there is an update to Sailing Vita.